Dorado, Puerto RicoWhen all the tribes of Israel still lived in their holy land, they practiced something called the Jubilee. NextWASHINGTON – Gleeful Republicans on Tuesday muscled the most sweeping rewrite of the nation's tax laws in more than three decades through the House. House Speaker Paul Ryan dismissed criticism of the widely unpopular package and insisted "results are what's going to make this popular." The Senate passed the motion to proceed on the GOP’s tax reform legislation Wednesday along party lines, allowing the upper chamber to bring the bill to the floor as soon as Thursday. Senators can now officially start debate on the reconciliation measure, which allows Republicans to pass the bill with just a simple majority. The bill includes steep tax cuts for both the individual and corporate rates and repeals the Obamacare individual mandate. While Senate Republicans unanimously voted to advance the measure, its final passage is not guaranteed. A number of lawmakers — including Sens. John McCain of Arizona, Jeff Flake of Arizona, Susan Collins of Maine, Ron Johnson of Wisconsin, Steve Daines of Montana and Bob Corker of Tennessee — have cited concerns about the bill ranging from its potential to increase the deficit to problems with its language on pass-throughs. While hesitations remain, the measure is open to unlimited amendments, several of which are expected to be adopted. The lower chamber passed its measure in a 227 to 205 vote earlier this month. House Majority Leader Kevin McCarthy said he advised members to keep their schedules flexible as the House is hopeful the Senate will pass its bill which is expected to be conferenced between the two chambers. Scalise: The economy will take off with tax reformThe House gave the final stamp of approval Wednesday to a sweeping tax reform package, handing President Trump his first major legislative victory and most Americans a tax cut starting next year. "This bill means more take-home pay. It will be an incredible Christmas gift for hard-working Americans," Trump said during a Cabinet meeting moments before the vote. Though Democrats uniformly opposed the package, the White House and GOP leaders were triumphant, vowing that the bill’s popularity would improve once taxpayers see the effect. The Tax Policy Center estimates that 80 percent of taxpayers will see a tax cut next year. Democrats sustained their vocal opposition to the bill – they’ve dubbed it a “scam” benefiting the wealthy – into the final moments. Protesters interrupted votes in both chambers. During the Senate vote overnight, they chanted "kill the bill, don't kill us," as Vice President Pence repeatedly called for order. Pence did not have to serve as a tie-breaker, with the bill passing the Senate on a 51-48 vote; only Sen. John McCain, R-Ariz., who is recovering from brain cancer treatment, was not present for the vote. The passage of the bill, just before the end of the year and the looming congressional recess, gives Trump a long-sought Capitol Hill victory, after repeated attempts to overhaul ObamaCare failed in the face of internal Republican divisions and unified Democratic opposition. The tax bill does include one major rollback of the Affordable Care Act, repealing the individual mandate requiring Americans to buy health insurance. The Trump administration presumes that doubling the standard deduction would lead to even more families claiming it. The bill would set a new $10,000 cap on the deduction that millions use in connection with state and local income, property and sales taxes. It also would limit the mortgage interest deduction to loans up to $750,000, down from $1 million. And it imposes a low one-time tax on companies' overseas earnings, nudging them to return money they've stashed abroad. On the House floor Tuesday, Rep. Terri Sewell, D-Ala., mocked Republicans who say passage of the bill would be a Christmas gift to the American people. On APRIL 15, 1912, the Titanic sank. It struck an iceberg the night before. Among the 1,514 lives lost were millionaires John Jacob Astor IV, Benjamin Guggenheim and Isa Strauss, vocal opponents of the Federal Reserve Act. 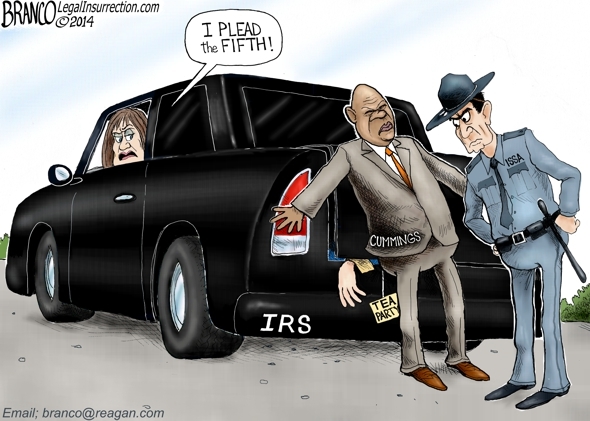 Originally, the U.S. Constitution prohibited a Federal Income Tax (Art.1, Sec.9). Tariffs made foreign goods more expensive, leading people to buy domestically produced goods, made mostly in Northern factories. The South had few factories, as its economy was agricultural crops, mostly cotton and rice, which unfortunately relied heavily on slave labor. During the Civil War, Republican President Abraham Lincoln passed an emergency Income Tax to help fund the Union. "The income tax law under consideration...is class legislation. Whenever a distinction is made in the burdens a law imposes or in the benefits it confers on any citizens by reason of their birth, or wealth, or religion, it is class legislation, and leads inevitably to oppression and abuses..."
Theodore Roosevelt was faced with industrialists who were creating monopolies, influencing political parties and gaining control of the banking system. Roosevelt attempted to limit them with an inheritance tax. President William Taft yielded to mounting public pressure to tax the rich by placing a 2 percent tax on corporate profits, as only the wealthiest owned corporate stock. With World War I threatening, Democrat President Woodrow Wilson thought reducing tariff taxes on imports between countries would ease tensions and bring world peace. Wilson proposed replacing tariff revenue with an Income Tax on the wealthy, passed in 1913 with the 16th Amendment. 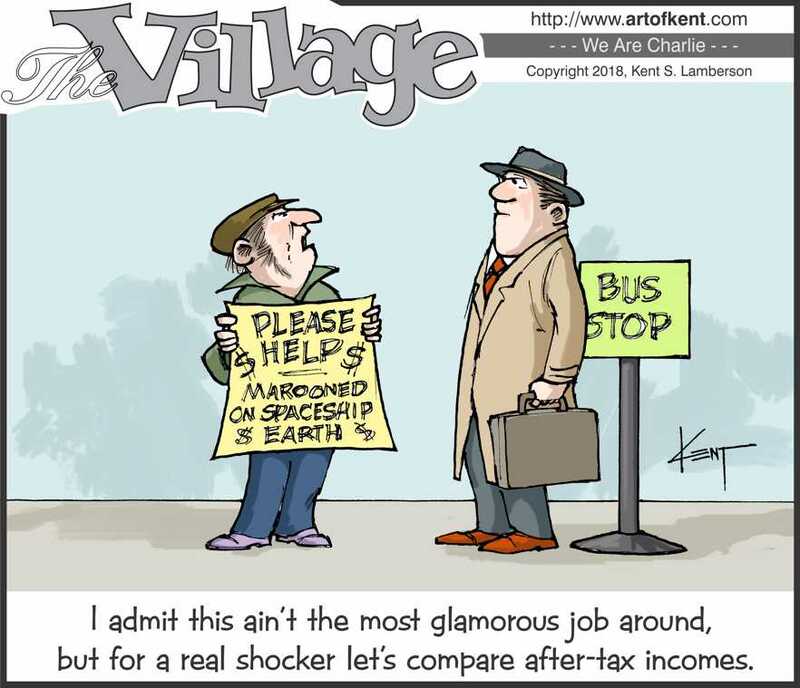 Originally, the Income Tax was a one percent tax on the top one percent richest people - a 'soak-the-rich' tax intended for industrialists Rockefeller, Carnegie, Vanderbilt, Fisk, Flagler, Gould, Harriman, Mellon, J.P. Morgan, and Schwab. These industrialists avoided the Income Tax by transferring assets into tax-exempt charitable and educational foundations, such as the Rockefeller Foundation and Carnegie Foundation. hospitals, medical clinics, orphanages, schools, soup kitchens, where they cared for orphans, widows, maimed soldiers, prisoners, unwed mothers, widows, shut-ins, homeless, juvenile delinquents, and immigrants. Churches also helped maintain a virtuous populace which reduced crime, child abuse, broken homes, derelicts, and other social ills, which are immense financial burdens on State budgets. In 1942, with World War II, Democrat President Franklin Roosevelt increased and expanded the Federal Income Tax with "the greatest tax bill in American history," and instituted paycheck withholding. "Withholding...on wages and salaries (was)... introduced during the war when the income tax was extended to millions of new taxpayers." -Political Favoritism toward some companies over others. Many businesses faced the alternative of going out of business or going out of the country. As jobs were outsourced to stay competitive, patriotic attachments diminished, giving rise to financial globalists. "In those countries where income taxes are lower than in the United States, the ability to defer the payment of U.S. tax by retaining income in the subsidiary companies provides a tax advantage for companies operating through overseas subsidiaries that is not available to companies operating solely in the United States." Whereas Kennedy wanted to reduce taxes to stimulate the economy, economist John Maynard Keynes had proposed stimulating the economy by going in debt. John Maynard Keynes reasoned that if the government went in debt spending money in the private sector to create jobs, those jobs would pay taxes and pay off the debt. 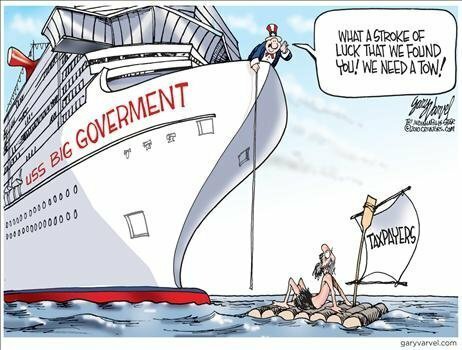 The Keynesian debt-stimulated economy has resulted in an unsustainable $18 trillion National Debt. After the 1917 Bolshevik Revolution in Russia, communist labor and community organizers infiltrated other countries, including the United States, where they formed tax-exempt educational foundations to agitate for political change and a world-wide workers' revolution. The House passed The Tax Cuts and Jobs Act 227-203 Tuesday. Twelve Republicans and all Democrats voted against the bill. Two members did not vote. The bill lowers the income tax rates for individuals and small businesses, permanently lowers the corporate tax rate, and includes a number of other features Republicans can get behind, like repealing Obamacare’s individual mandate. Senators will immediately begin the allotted 10 hours of debate on the bill Tuesday, where it is expected to pass with a simple majority vote. If it passes in the Senate, President Donald Trump is expected to sign the legislation into law this week. There have been some recent changes within the Board of Directors of the Florida FAIRtax Educational Association. In May, Mark Gupton, our Managing Director for a dozen years, announced his retirement from FFTEA. As Managing Director, Mark was actually President, Vice President, Treasurer and Secretary. The board members realized we would have to divide Mark’s responsibilities into the more common four positions. As President, I will periodically, and without warning, send out updates and calls to action to all FFTEA members. Following are some recent developments you should be aware of. RADIO AD CAMPAIGN - At the annual meeting in June, the Board approved a radio ad campaign to promote membership in FFTEA on WSKY, a 50K watt news/talk station in the Gainesville/Ocala area. These ads began on Monday, July 24th and will continue for several months. Along with The FAIRtax Guys (Bob Paxton and me) doing the ads, we enlisted the help of Chip Morris. Chip is a very popular radio personality in the WSKY listening area; we are lucky to have his help. Our goal is to bring an increase in FFTEA membership so as to at least pay for the ads. If we are successful, we will try to expand this effort to other parts of the state. If you live within the WSKY listening area, please listen for these ads. There will be at least two each day and the first one plays between 8 and 9 AM each weekday. If you hear it, please call the station, mention the ad and say something positive about the FAIRtax. Try to steer people toward our website www.flfairtax.org. FAIRTAX POWER RADIO - Bob Paxton, our newest Board member, is the driving force behind FAIRtax Power Radio. 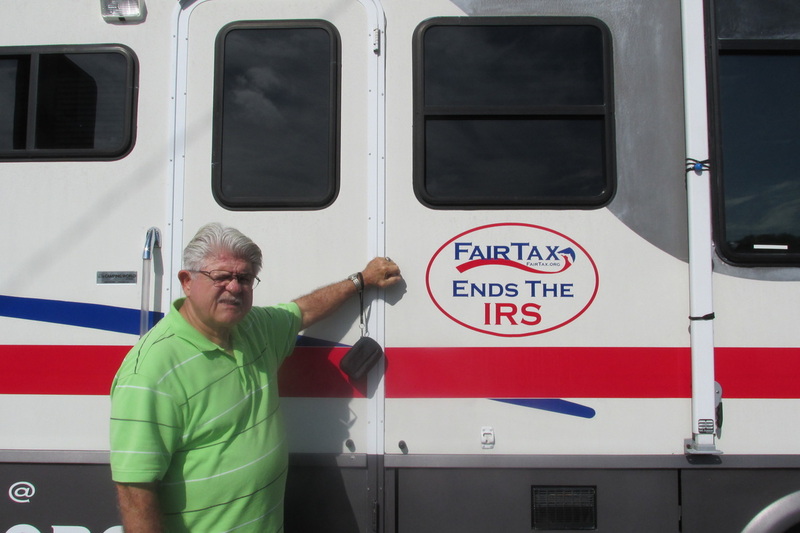 Bob is not only a strong FAIRtax supporter, he is an experienced radio professional. Through his experience, expertise and using the studio Bob built in his home, we launched FAIRtax Power Radio about 3 years ago. “The FAIRtax Guys” post a new podcast of FTPR every Friday morning on Spreaker .com (bit.ly/27oJYlV), iTunes (apple.co/1Te8VdF) and iHeart Radio (bit.ly/2eqEG7y). You can also get a free FTPR app for your iPhone or Android. I hope you enjoy FTPR and help us get more listeners. FLORIDA COSPONSORS OF HR 25 - Florida has 27 Congressmen & Women in the House of Representatives. In the past, we have had as many as 11 of these Reps cosponsor HR 25. I was disappointed to find in a recent search that only four Reps were currently cosponsoring HR 25. As you have read in a recent FAIRtax Friday, Congressman Ron DeSantis became a cosponsor on July 11th bringing our total to five. Mr. DeSantis was urged to cosponsor HR 25 because one of our Board members, Ed Connor, contacted his office asking why he was not a current cosponsor. This shows that one person can make a difference. We need everyone engaged in our efforts to secure more cosponsors for HR 25 and S 18. Please do what you can to encourage your Representative to cosponsor HR 25. Phone your Rep’s office every week if necessary. Be respectful but be assertive. Enlist the help of your friends and neighbors. Repeated calls from multiple constituents have a positive effect. 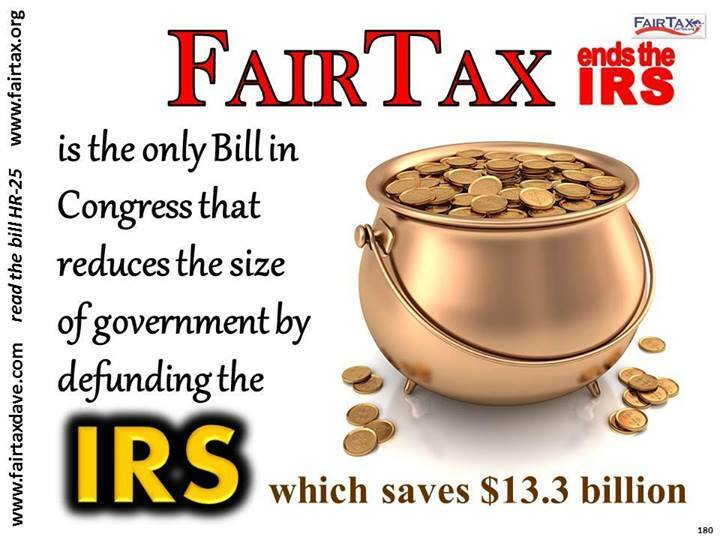 If your Rep is currently a cosponsor, thank them and ask them to enlist the support of other Congressmen & Women for the FAIRtax. 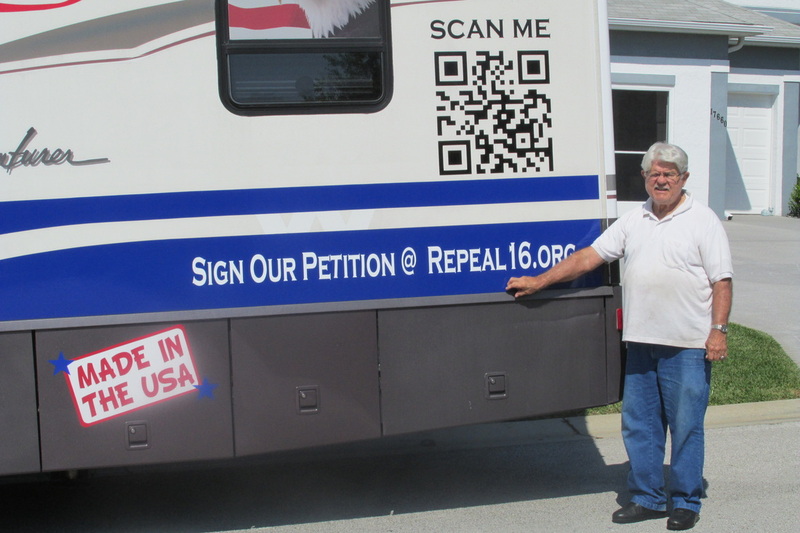 Also, we can all join in the efforts to get Senators Rubio and Nelson to cosponsor S 18. I think the case can be made with Senator Rubio that one reason he could not carry his own state of Florida in the primary last year was because of his disappointing lack of support for the FAIRtax after he was elected Senator. Again, try to get others to join in calling Senators Rubio and Nelson. FAIRTAX FRIDAY - We are fortunate to have three Board members of Americans For Fair Taxation who are also Board members of your FFTEA. If you are not receiving FAIRtax Friday from the AFFT every Friday, please let me know and I will make sure you are entered into the database. From time to time, I’ll be sending out reports of what is happening within Florida to promote the FAIRtax. Likewise, if you know of an effort to further our volunteer activities, please let me know so I can include this information in my reports. We need to bring about a resurgence of FAIRtax activities around the state and I’m counting on you to help.